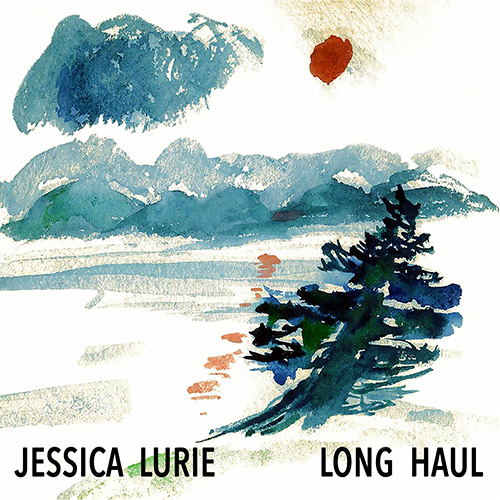 LONG HAUL is Jessica Lurie’s newest musical work, presenting nine original, genre-defying and ear expanding compositions. Her eighth CD as a bandleader, is it her first recording with her Ensemble in five years, backed up by a stellar band from both coasts of the US. There is the solid and dynamic rhythm section of Todd Sickafoose on bass and Allison Miller on drums; Brian Marsella shines on all things piano, including pump organ and Fender Rhodes; guitarist Mike Gamble gracefully supports Lurie’s interwoven melodies, and special guest Naomi Siegel lends harmony and punch on trombone. These compositions highlight a personal and musical evolution for Lurie, embracing new storylines and her diverse stylistic influences. Long Haul was co-produced by Lurie and bassist Todd Sickafoose, who has contributed his playing, engineering and production genius on other Lurie recordings (Licorice and Smoke, Shop of Wild Dreams, Megaphone Heart).